"Evelyn was a gentle encourager and a lover of beauty. 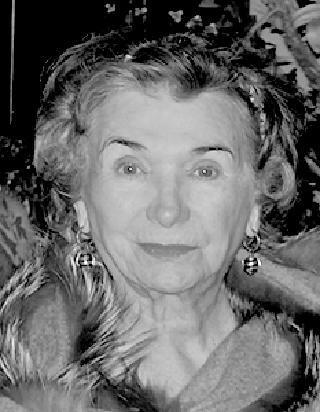 I..."
"Evelyn was such a sweet person, and she was so enthusiastic..."
Dr. Mary Evelyn McNeill; Colonel US Army Reserves, Ret., 86, of Greenville, died peacefully in her home on Wednesday, July 20, 2016. She was preceded in death by her parents, Lacy Dixon and Mary Lee Watson McNeill, and a brother, Robert Dixon McNeill. A memorial service will be held Saturday at 4 pm in the Wilkerson Funeral Chapel in Greenville, the family will receive friends immediately following the service. Also a memorial service will be held on Sunday at 2 pm at Shallow Well Church, 1220 Broadway Rd., Sanford with family receiving friends following the service. Evelyn was born and raised in Lee County and was a graduate of Jonesboro High School as salutatorian in 1947. She attended Elon College on an academic scholarship and UNC- Chapel Hill, earning a bachelor's degree in Education. After teaching at Woodrow Wilson Junior High School in Danville, Virginia, she was commissioned in the United States Army. She was educated as a physical therapist at Medical Field Service School at Fort Sam Houston, Texas. After a tour of duty at Brooke Army Hospital in San Antonio, she was stationed at Fort Riley, Kansas. Following discharge from active duty, she remained a member of the Army Reserves. At her retirement ceremony in 1989, Colonel McNeill was awarded the Legion of Merit, commissioned by President George Herbert Walker Bush. Her active and reserve service totaled 36 years. Evelyn was a physical therapist at Watts Hospital in Durham, NC for eleven years. She then received a Master's Degree in Anatomy from Duke University and a Ph.D. in Anatomy from the Medical College of Virginia in Richmond. From 1972 - 2001 she taught Neuroanatomy in the Brody School of Medicine at East Carolina University in Greenville, NC. One of Evelyn's proudest post-retirement accomplishments was completion of her memoir, Zero to Eighty Over Unpaved Roads. She enjoyed being a member of the Greenville Noon Rotary Club, several book clubs, and being a Master Gardner. Evelyn is survived by her three siblings, of Sanford, NC: brothers, Charles and wife, Barbara Sue, Ronald and wife, Betty Sue; and sister, Ruth Morris. Her brother Harold and wife, Sheila, live in Tampa, FL. Surviving nieces and nephews are: Teresa Thomas, Mary Martin, Lynne Holt, Mary Parker, Prentiss McNeill, Harrison Gholson, Joy Chafin, Monroe Morris and Bradley McNeill. Great nieces and nephews are: Linda Berryman, Kathryn Gardner, Geneva Bonilla, and Jessica Martin, Benjamin, Samuel and Nathan Holt, Mary Farrell, Lilly, Essie, Sophie and Maggie Chafin, Will and Caden McNeill, and Mary Sue and Matthew Parker. Great, Great nephews are: Connor Gardner and Sully Berryman. In lieu of flowers, memorials contributions may be made to the Shallow Well Church cemetery fund at 1220 Broadway Rd., Sanford NC 27332 or to the Grace Chapel Church building fund, PO Box 1408, Sanford, NC 27331.